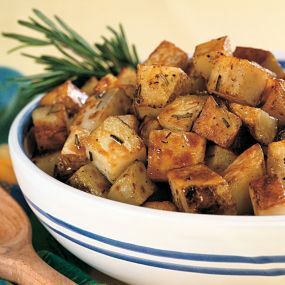 Combine ingredients in a bowl & pour over the potatoes. Toss to coat evenly. Roast in 400 F oven for 40 minutes or until golden brown.